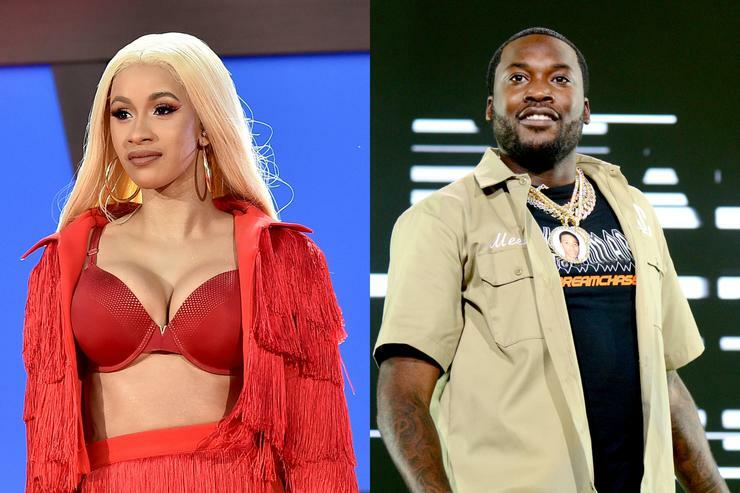 After Meek Mill and Cardi B were spotted together at Billboard’s 2018 R&B/Hip-Hop Power Players Event, YouTuber Adam22 said that he could confirm a collaboration between the two are in the works. Now, we have a bit more information on what we could possibly expect from a collaboration from the two. TMZ sources confirmed to the publication that Meek Mill and Cardi B got in the studio together for an upcoming track. The two recorded hooks and verses during their session which is set to be used on their upcoming collaboration. While there isn’t a whole lot of information behind the collaboration available, sources did say that the song has the potential to be a massive hit. Meek Mill’s been putting in work for his first post-prison album, which he said is dropping “in a matter of weeks” so maybe this might end up being a lead single off of it. Although Cardi B and Nicki Minaj confirmed their feud during the NYFW debacle in September, Meek’s latest collaboration doesn’t seem to be in spite of his ex. The two artists reportedly got in the studio months ago to work on music. Additionally, Cardi B and Meek are both signed to Atlantic Records so it doesn’t seem out of the ordinary that the two would hop in the studio together.